RA Power Solutions Pvt. 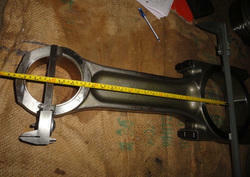 Ltd. is a globally established OnsiteCrankshaft Grindingand Mechanical Components Repair Company. All these years we have built up an outstanding reputation for quality work delivered on time and within budget. 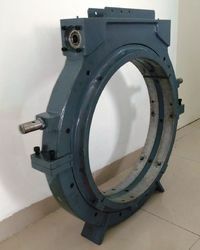 We undertake repair, reconditioning and resizing of connecting rods high capacity engines, compressors and rotatory equipments. 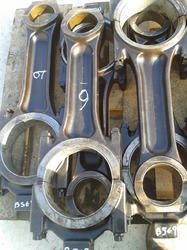 Connecting rods are checked in-house by our experienced technicians for last four decades. 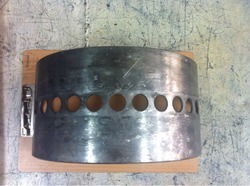 Alfa Laval Titanium Plates of all models are available in stock. Few years back, it was mandatory to send the damaged crank shaft to the workshop for repairs. This involved disassembly of complete crankshaft, removal of crankshaft shaft from the block, packing and transportation to the workshop. A new technology has been introduced in recent years. Crank shaft grinding machine designed is portable; light weight and can be taken to the site. This process of grinding and polishing of crank shaft by the portable crank shaft grinding machine saves downtime and cost. RA Power Solutions design and manufactures crank shaft grinding machine. The machine is capable to undertake grinding of turbine shaft, crankshaft, alternator shaft & cylindrical shaft up to 700 mm. We manufacture on site crankshaft grinding machine. 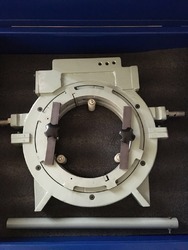 Our grinding machines are easy to operate and grinding operations can be carried out on site. The machine come’s in varying specifications. This machine offer excellent quality and also capable in serving needs of various industries.